Rock at Rock. 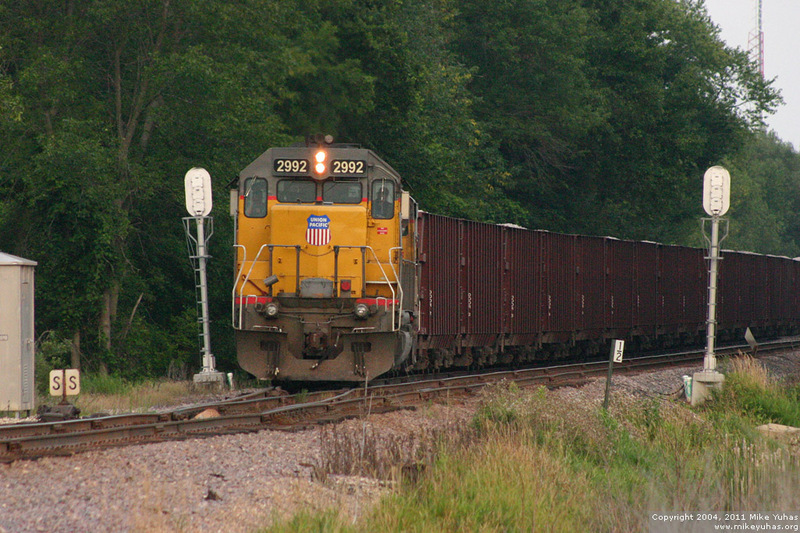 A loaded ballast train emerges from the west end of Rock Siding near Lebanon, Wisconsin, on UP's Adams Subdivision. The train hauled 61 loads of rock bound for Adams.